How can abstracted business process logic be centrally governed? When business process logic is distributed across independent service implementations, it can be problematic to extend and evolve. Logic representing numerous business processes can be deployed and governed from a central location. Middleware platforms generally provide the necessary orchestration technologies to apply this pattern. 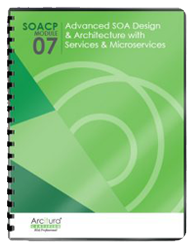 Significant infrastructure and architectural changes are imposed when the required middleware is introduced. 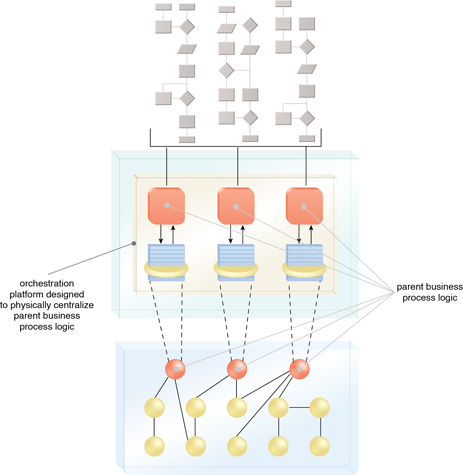 Task services can continue to be implemented as separate Web services, but as part of an orchestration platform their collective business process logic is centrally located and governed (resulting in “orchestrated” task services).